Learn more about our Materials & Products. Móz manufacturers unique designer metals with over 3,000 possibilities. Simply select a product, pattern, color, and grain, along with a protective finish to transform your next project using a dynamic metal solution. Select a product from Móz’s collection of metal sheets, columns, room dividers, walls and artworks. 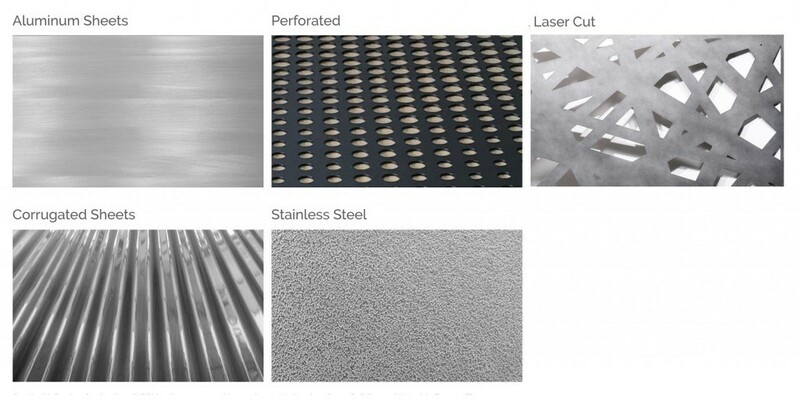 Select a base sheet material from aluminum, perforated, laser cut, corrugated, or stainless metals. Our products contain recycled content and contribute to LEED credits. Select a unique pattern and color from Móz’s library of Classic hues, textured Engravings, natural Blendz, colorful Gradients or custom digital imagery.